A few months ago, the field trip coordinator from The Logan School in Denver reached out to me. 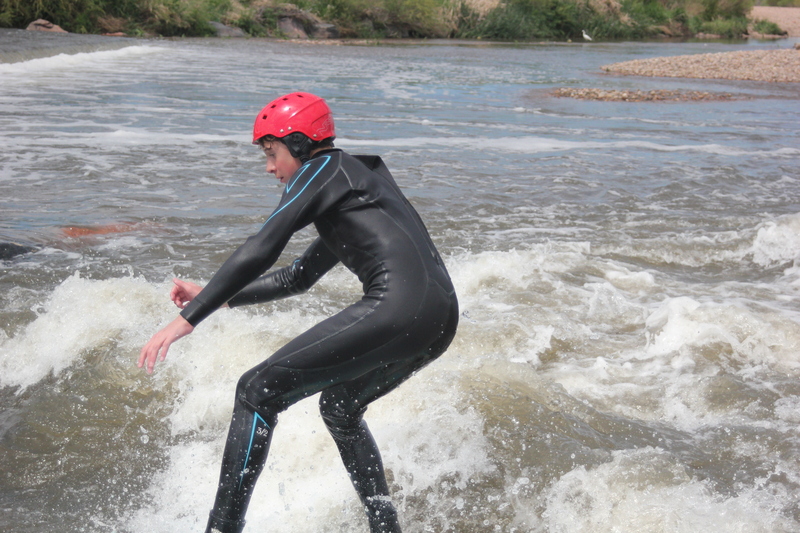 The school focuses on student-led learning, and she had a student who was interested in river surfing as part of his curriculum: the physics of adventure sports. Which, incidentally, sounds like an awesome thing to study. Outreach is a major element to growing any new sport, and I jumped at the opportunity to help out. 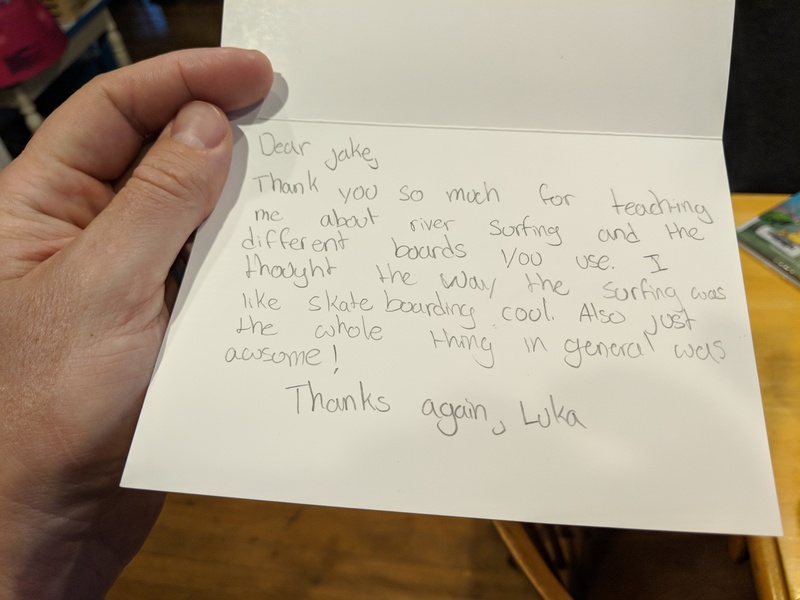 The student, Luka, wanted to talk about river surfing boards, and how they differ from, say, ocean surfing boards, and why. I’ve covered a bit of this before. We also decided to meet up to get some surfing in. Unfortunately, things have been really dry on the front range, and waves on the Arkansas in Florence and Pueblo have saved our season. 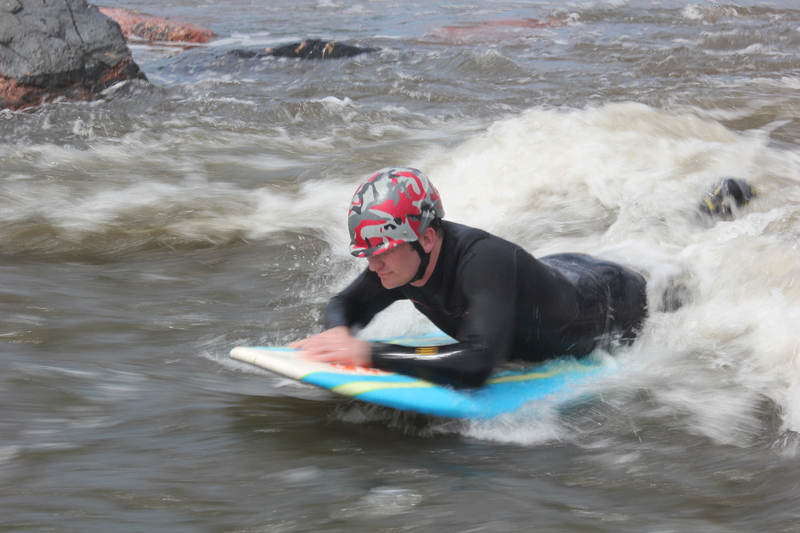 So we weren’t able to get out to River Run Park given their time constraints, but we were able to get out at Dave’s Wave for a surf. Conditions were a little challenging, but we were both able to get up for some rides. And we were joined by Abigail, who was studying photography, and she was nice enough to document the day for us. 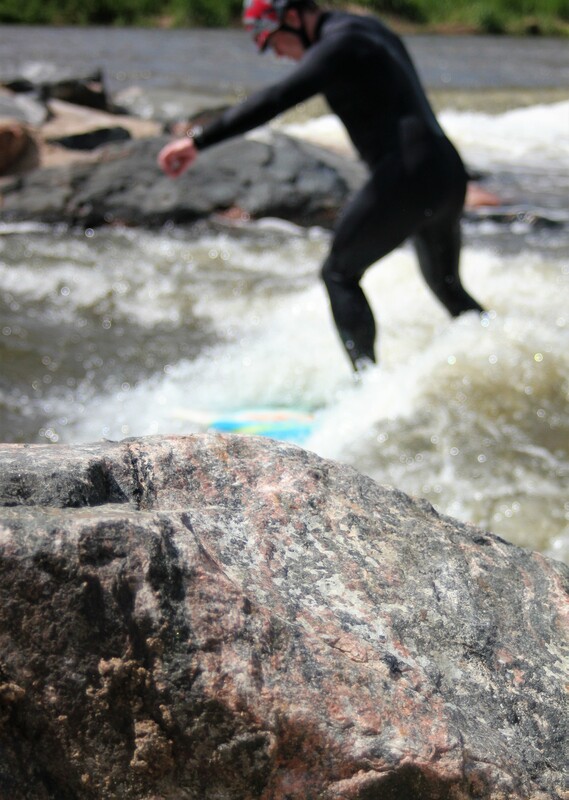 Like any sport, river surfing is dependent on getting new blood into the sport – we can’t just depend on old guys who are now transplants from the coasts. Getting Luka out on the water was a great experience, and hopefully he’ll get out to our higher-performing waves once they have the flows for it.